Curiosity, and the Hotel Cheval property in Paso Robles led me to accept an invitation to attend an inaugural event called “Wine, Women and Song”, promoting a new book and wine company from author, entrepreneur Deborah Brenner and actress, singer/songwriter Rebecca Pigeon’s new release, “Slingshot,” due out in October 2011. Aside from promoting their wares, the two have embarked on a national tour supporting the Farm Aid effort. Actually, Rebecca Pigeon was an attraction for me, having enjoyed many of her films including “State and Main,” “Red” and her memorable role as Susan Ricci in the classic “Spanish Prisoner,” directed by husband David Mamet. 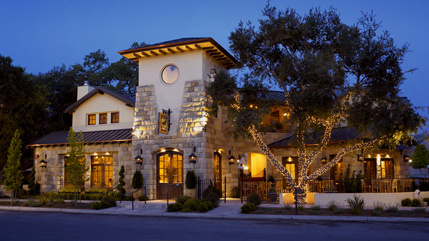 This evening, her song writing and vocal skills will be showcased to 100 wine tasters, outdoors on a beautiful night. No pressure there. 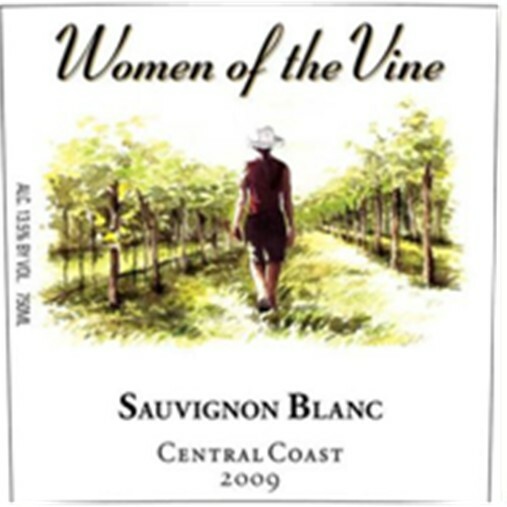 The “Women of the Vine” label gives sustainable growers and female wine makers a collaborative setting that has provided opportunity to bring their wines to the marketplace. Thus far, some high-profile wine makers are contributing some very good wines. Alison Crowe, who “cut her teeth” in winemaking for Randall Grahm at Bonny Doon Vineyards, produced two white and three red varietals, her WOTV Sauvignon Blanc Central Coast 2009, in my opinion, leading the way. In addition, some high-end single-varietals and blends, from noted wine makers, stole the show. Winemaker Heidi Peterson Barrett is part of Napa lore as a member of the Barrett Family, who’s Chateau Montelena Chardonnay helped establish some dominance of California wines at the 1976 Paris Tastings. 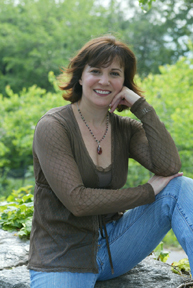 She has earned her own reputation by upgrading Beuhler Winery to produce reasonably priced, high quality wines and from her work with Screaming Eagle. Her WOTV wine is the beautifully balanced, spice-driven 2006 Napa Valley Syrah ($65), terrific from nose to finish. Dorothy Schuler, known for her Spanish varietals under the Bodegas Paso Robles label, contributed the WOTV 2006 Paso Robles Tempranillo ($34), well-balanced with a nice “jolt” of vanilla on the finish. Her WOTV 2003 NV Napa Rojo ($52) blend was not available but the mixture of dry-farmed touriga, graciano, tempranillo and tinto cao left me intrigued. The tasting also included a variety of wines from Napa Valley’s Miner Winery and J Dusi Wines from winemaker Janelle Dusi who’s family has been an integral part of the Paso Robles wine community for decades. The Miner Family Winery has develop a reputation for creating fine wines, especially their meritage, “Oracle” ($90) from Napa Valley. Tonight, we tasted a soft, accessible 2010 Sauvignon Blanc, the small lot 2009 Napa Valley Petite Sirah ($40) and the unique 2008 Sangiovese Gibson Ranch($24) from Mendocino County. Plantings of Sangiovese, the dominant grape of Italian Chianti, has expanded in California over the past decade, not necessarily in the cool northern coast. 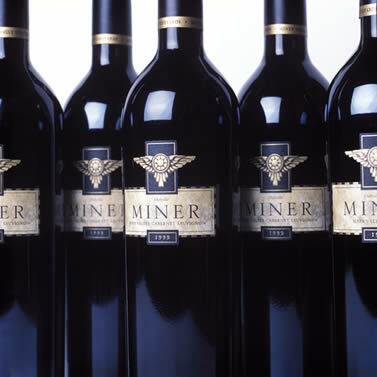 Releases from the Miner Family Winery should interest all serious wine enthusiasts. Of note, Miner is now producing Pinot Noir from Garys’ and Rosella’s Vineyards in the Santa Lucia Highlands. The Dante Dusi Vineyard has played an important role in providing grapes for several high-end Paso Robles zinfandel wines since WW11. Dante’s granddaughter, Janelle has expanded the family repertoire into winemaking through the release of her own label, J Dusi Wines. Vintages 2007 and 2008 J Dusi Zinfandel offer proof that she can consistently create good, old-fashioned jammy, Paso Zin. A must to try from J Dusi is the luscious zinfandel port wine. It is a dessert in itself. The tasting was both educational an enjoyable, but it was time to take our glasses and ourselves to the patio to enjoy the musical portion of the evening. 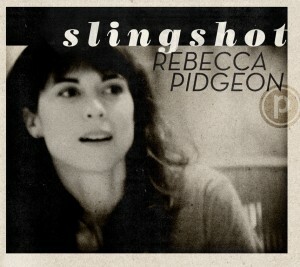 While reviewing her CD, “Slingshot”, one critic compared Rebecca Pigeon to the legendary Joni Mitchell, not musically but for imaginative lyrics. As she opened with “Get Up Get Out’, a song about change, I found her musical style to be as elusive as it was creative and charismatic. Beautifully produced by Larry Klein, “Slingshot” is a compilation of short stories that evoke visual images that one may find in a film. The haunting “Kiss Me”, with a melody reminiscent of early Janis Ian and the deceivingly upbeat, “I Love No-One” illustrate the diversity of her music, tied together with self-revealing, meaningful lyrics and an expressive voice. “He’s as young as Prozac, he’s as old as the wheel“ describes Rebecca’s “Disintegration Man”, a rock ballad filled with witticisms and edgy modern references. Her signature piece at the concert and on the CD is a poignant cover of the late Warren Zevon’s classic ballad, “Searching For A Heart.” Briefly commenting on Zevon, she then paid tribute through her beautiful rendition, a lasting end to the concert and our evening. This entry was posted on Wednesday, August 10th, 2011 at 5:31 am	and posted in Deborah Brenner, j Dusi Wines, miner family winery, music, rebecca pigeon, Wine, Women of the Vine. You can follow any responses to this entry through the RSS 2.0 feed.